I think everyone has at least one Hawaiian Island on their bucket list if not all of them. I would know. 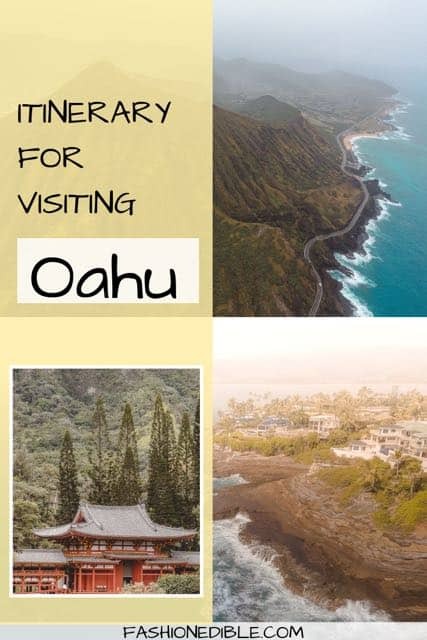 I have been to Oahu twice and am hoping to visit Maui and Kauai at some point in the future! Oahu is a tricky island; if you’re looking at a map (see below), you might be led to believe that it’s a small island. And it is. 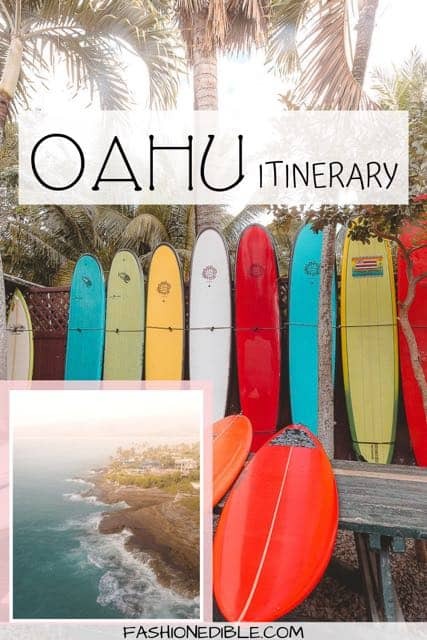 But once you start your Oahu trip planning, you’ll quickly realize that in spite of its size, it’s not possible to fully enjoy this Hawaiian island in a short day or two because there is just too much to do and too many scenic spots to visit. 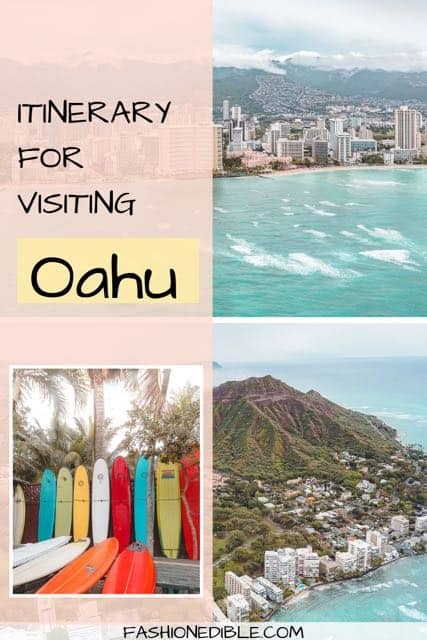 You can easily plan your Oahu itinerary for 5 days or more. Our last trip to Oahu lasted 6 days and it definitely wasn’t enough time to see everything. I’d recommend a 10 day visit to the island so that you can go on a few hikes (like Koko Head or Diamond Head) and then possibly even island hop to a different Hawaiian island. Hawaii is home to some great hiking so you definitely don’t want to miss out on at least one while you’re there. 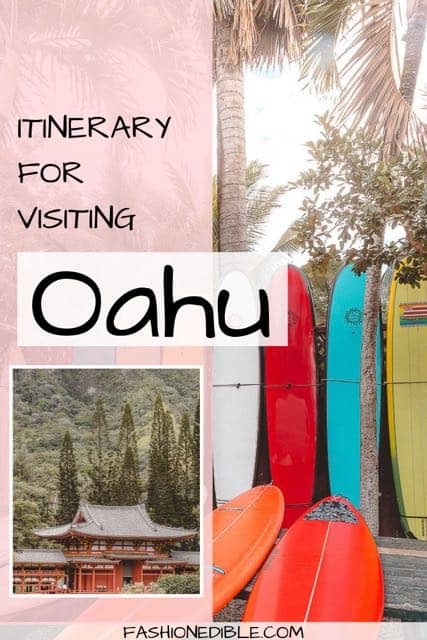 This Google map of Oahu gives you an idea of where everything is located on the island that I’ve included in this itinerary. Oahu isn’t that big and is easily accessed by main roads. The drive from south to north is beautiful and even if you aren’t planning on too much exploration, I would still recommend renting a car for at least a day of driving around the island. 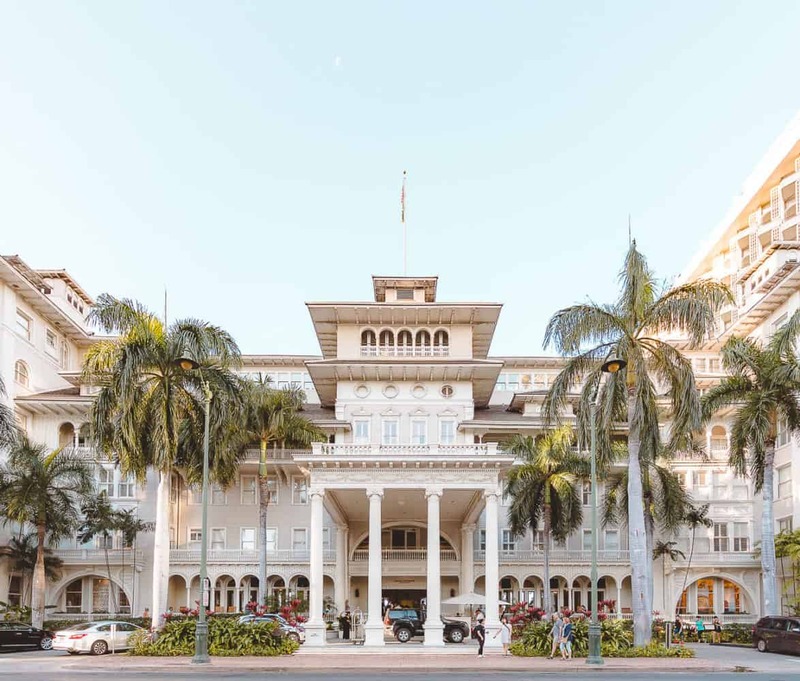 I can recommend a few different hotels to stay in when visiting Oahu: the luxurious Ritz Carlton, the amazing beachfront The Moana Surfrider and the pink Royal Hawaiian. 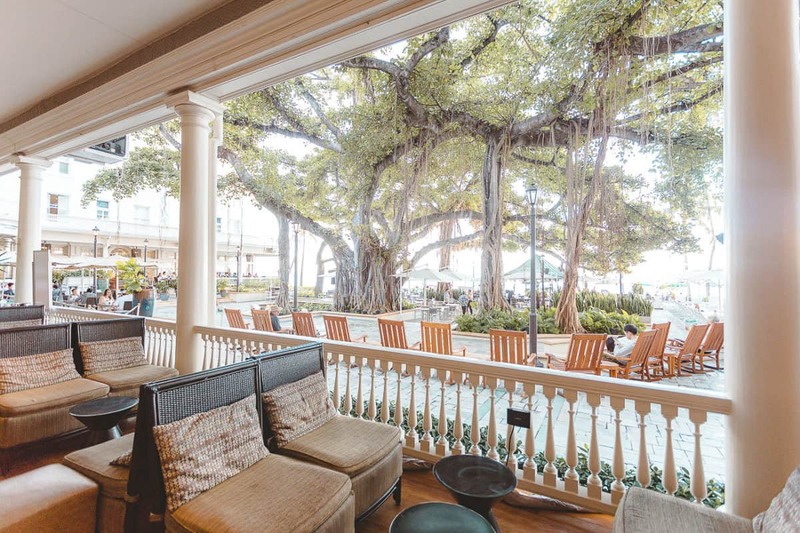 The Moana Surfrider is a charming hotel with amazing views, the most perfect location, and a great restaurant on-site. 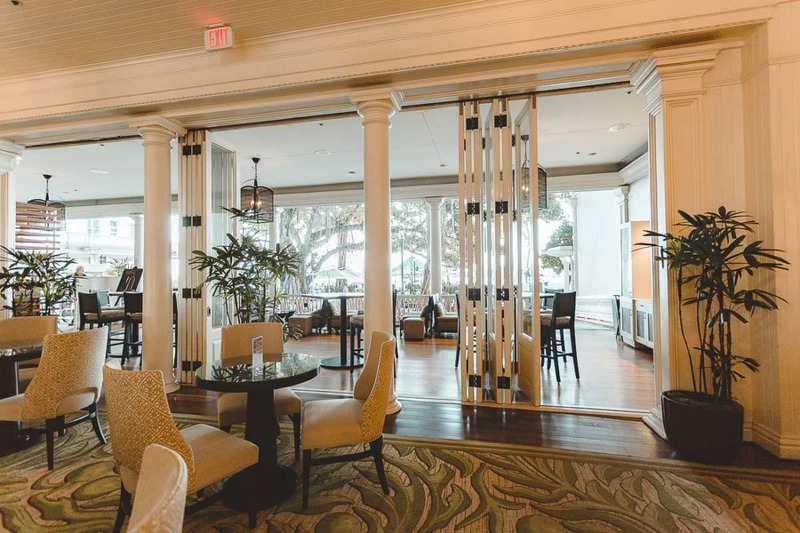 It has an oceanfront pool with a beach bar, a gorgeous veranda where you can enjoy tea and plenty of chairs (rocking chairs, beach chairs, you name it) to sit and enjoy the view. 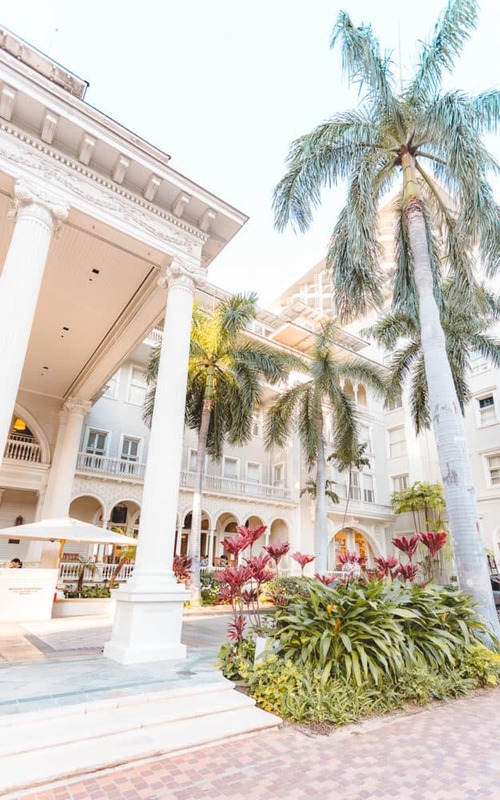 It’s also the oldest hotel in Waikiki dating back to the 19th century so historical buffs will love its classic interior and architecture! 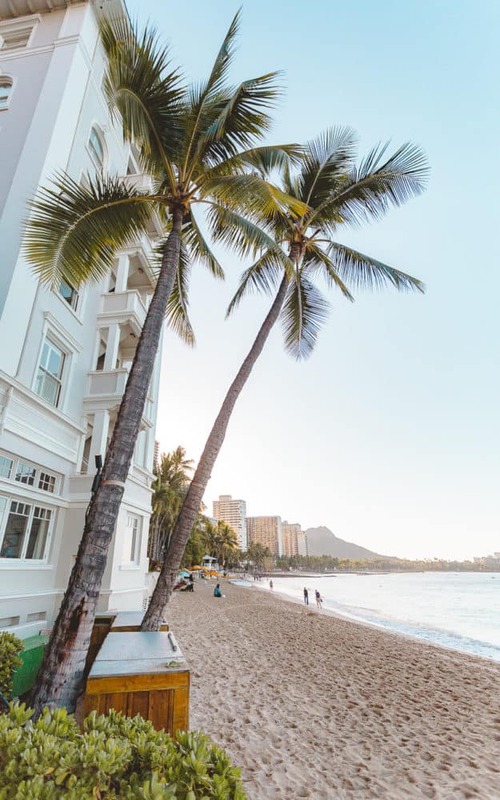 Conveniently, you can use Waikiki as your base for exploring the island of Oahu as the island is small, easily crossed in a day and contains the main hub of restaurants and açaí bowl shops that Oahu has to offer. North Shore (1-2 days) – I’d recommend spending an entire day on the North Shore. 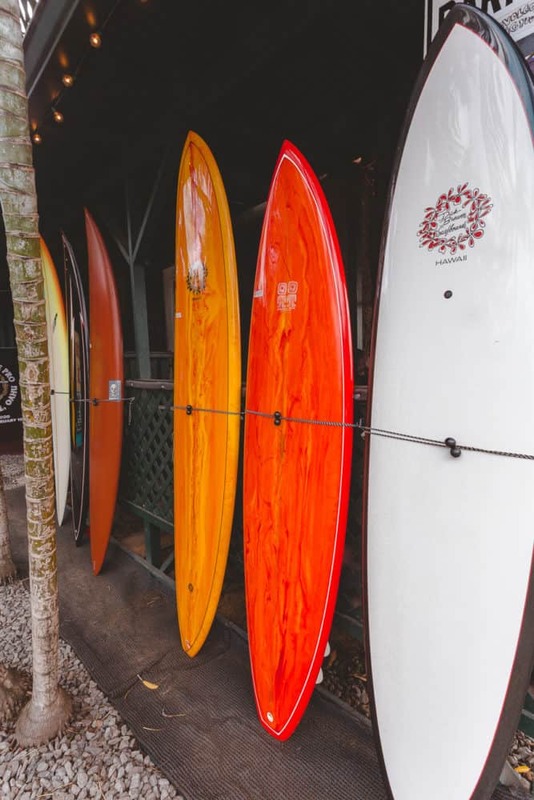 You can head to the beach to watch surfers, visit the popular town of Haleiwa, coffee shop hop, grab a smoothie bowl from Haleiwa Bowls or drive around the coast. There are also countless food trucks here so if you’re a seafood fan, keep your eye out for two favorites: Fumi’s & Giovanni’s. 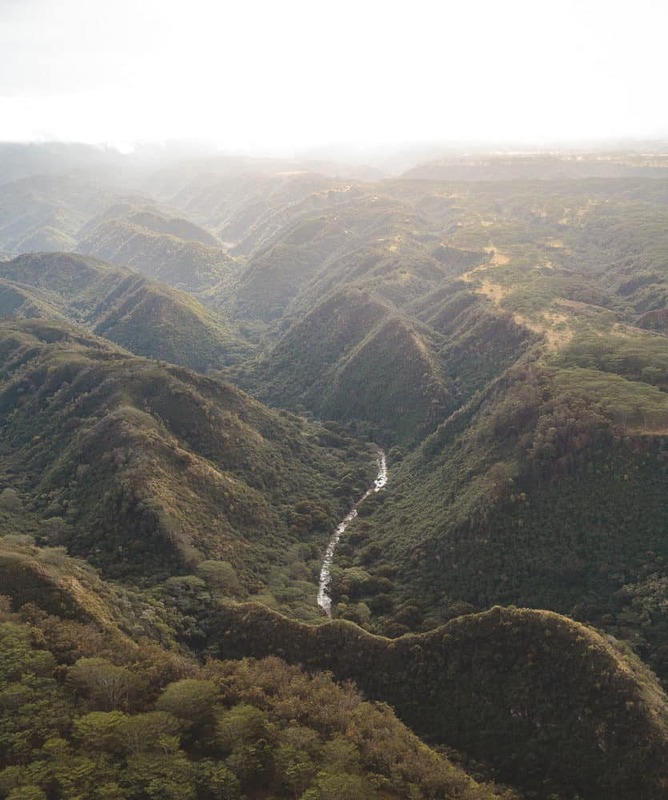 If you’re interested in a helicopter ride, you may be leaving from the North Shore as well so keep that in mind when planning for visiting Oahu. 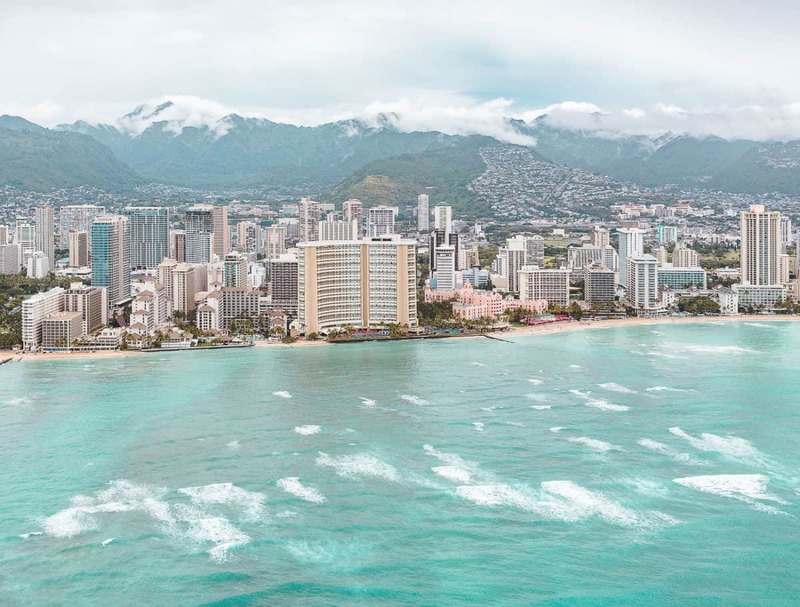 Waikiki & Honolulu (2-3 days) – Waikiki is chock-full of tourists but surprisingly, that’s what makes it fun. It comes alive at night and shops stay open late; the city is full of restaurants (and shave ice places) and outlets for you to exercise retail therapy in. Waikiki Beach, though quite busy, hosts a beautiful sunset. If you’re into museums, there are plenty to visit including the Polynesian Cultural Center. 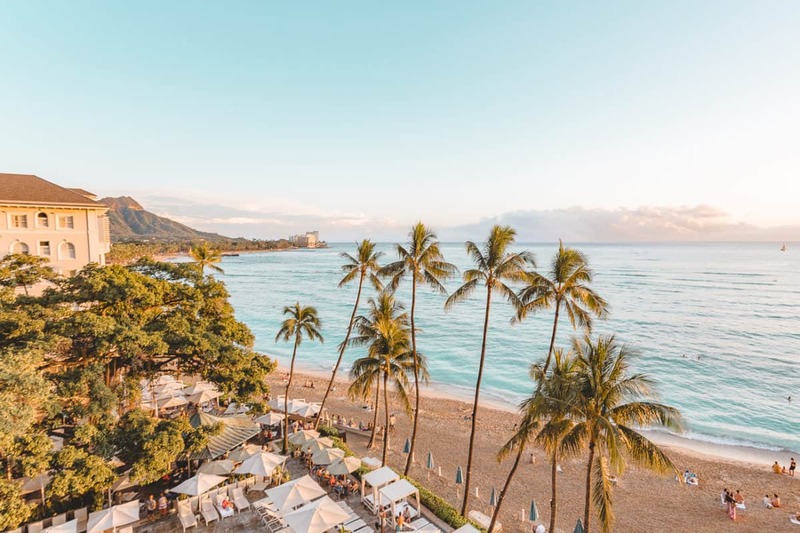 Kailua & Lanikai (2 days) – There are several activities in Kailua and Lanikai as well as some of the best beaches on Oahu. 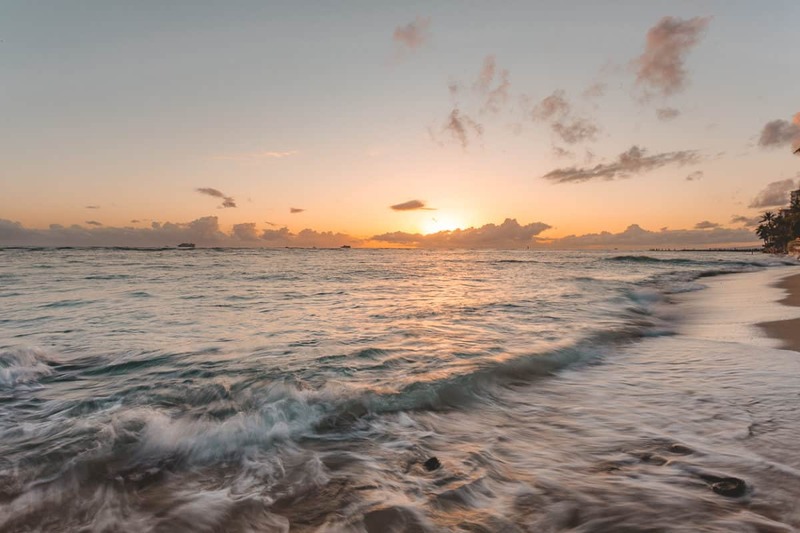 You can kayak out to two tiny islands called the Mokes off the coast of Kailua or visit the peaceful Lanikai Beach for a relaxing day at the beach. You can also opt for a hike to the Lanikai Pillboxes. 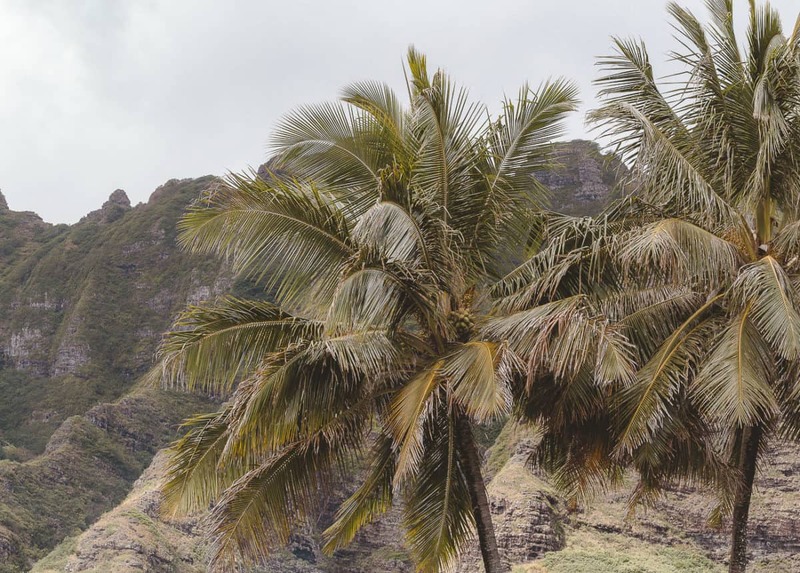 Kualoa Ranch (1 day) – Kualoa Ranch boasts a myriad of activities like horseback riding, ATV tours, jungle expeditions and more. It’s location is magical with tall mountain peaks, thick jungle and to top it all off, oceanfront views. Perfect setting for a movie which is why Jurassic Park was filmed here. 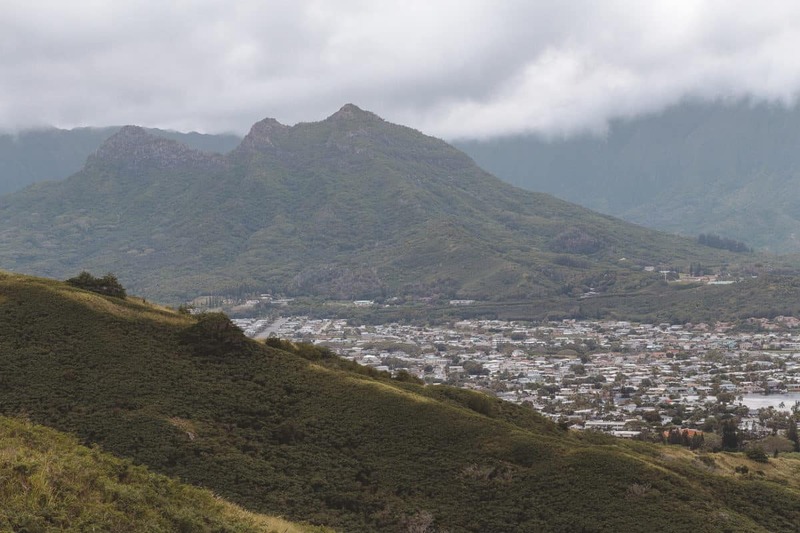 Note: The length of your Oahu itinerary will mainly depend on how much hiking you want to do. Koko Crater and Diamond Head take an 1-3 hours each while a more strenuous hike will take at least half a day. And unfortunately, you have to factor in possible weather issues that might delay or cancel your hiking plans. Also a few highlights worth mentioning are Kaena Point, Makapuu Tidepools and Spitting Cave. Plan for 2 days for these highlights as they are located a few hours from each other. Wow. Such beautiful photos! I was fortunate enouh to visit Oahu for 5 weeks this year and totally agree 6 days wouldn’t feel near enough time! You have captured the Aloha spirit beautifully, the Lanikai pillbox hike was one of my favourites and the smoothie bowls in Oahu are indeed the best I’ve ever had!! I can never get enough of Hawaii! All your hotel suggestions look beautiful! Some great tips here. My first visit to Hawaii is in 9 days, I’ve already booked my Ranch visit but I’m adding Koko Crater to my list too! That is so exciting! If you love smoothie bowls or want ideas for food, I have two other food guides 🙂 You can just search for Oahu and they should come up! But either way, have a wonderful time! !